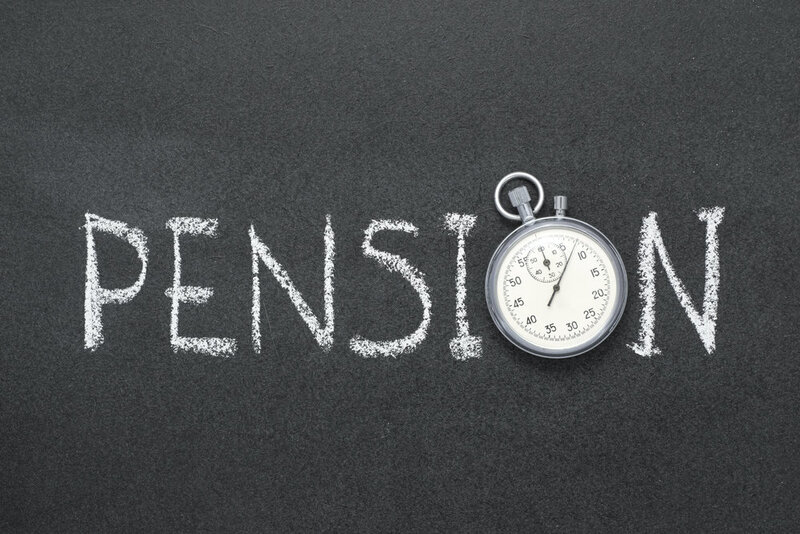 InsuranceFundi | Your pension may be at risk | Are you aware of this? Them: Listen (put your name here), you know that pension fund you belong to? The one we’re deducting from your salary every month? Them: Well, we’ve decided that instead of investing the money elsewhere, we’re going to invest it in the company. Them: Think of it this way, it’s still your money but now you have an interest in making sure the company does well – if the company does well, you do well. If the company does bad, then you do bad. Are you willing to give us permission? Now imagine that same boss telling you that they’re going to do it whether you like it or not? Well, our government is thinking along the same lines. Investigate the introduction of prescribed assets on financial institutions’ funds to unlock resources for investments in social and economic development. What exactly is meant by ‘prescribed assets’? Basically, it means forcing your pension or provident fund to invest in state-owned entities. Why would your government want to force your pension fund to invest in them? Is it because these companies are well managed? The best possible situation for any government is one in which all of its citizens can take care of themselves without ever being a burden on the state. Imagine all the money that will now be available for building more schools, hospitals, and universities? It would make perfect sense to invest pension monies into successful state-owned entities so that this could happen. But how well are our state-owned entities managed? Is it because there’s a long queue ahead of you wanting to invest? Imagine investors from all over the world trampling all over each other in an effort to invest in our state-owned entities? Imagine our government stopping them and saying, “let’s give our citizens first option before allowing you to invest.” Besides China, is anyone else wanting to invest in our SOE’s right now? Or is it because you’re the lender of last resort? Surely, our government wouldn’t put your future at risk in order to bail out a sinking ship? Surely, they know that they’re going to have to support all these pensioners one day, or will it become someone else’s problem? have built up enough money from taxes in order to bale out any of these companies if need be? Surely, these companies have a strategy to employ and retain the highly skilled employees they need to operate successfully? Admittedly, this is only an investigation at the moment. So, let’s not panic yet. But you know what they say, where there’s smoke there’s fire. It is especially concerning if you consider that none of these entities are currently well managed. Throwing more money at them hasn’t worked in the past, so will it work going forward? The biggest problem most of us face is that we belong to defined contribution funds as opposed to defined benefit funds. What then is a defined contribution fund? Defined contribution means your company (and you) contributes to your retirement fund but you, the investor, carry all the investment risk. Whatever has been built up over the years, is what you walk away with when you retire. The opposite is a defined benefit fund. Here, all the investment risk is carried by the employer. They undertake to pay you a pension income based on a formula regardless of whether the investment performs or not. The Government Employees Pension Fund (GEPF) operates on this principle and we, the taxpayer, carry their risk. Considering the risks that members of defined contribution funds already face, surely it makes more sense to prescribe assets relating to the Government Employees Pension Fund? Government employees are guaranteed their pensions…the rest of us don’t get one. Excellent and spot on article! I have 39 years of services in large SA Global industry. Someone years ago I decided to stay on DBF as opposed DCF for the obvious reason your article has so well articulated in part. In 1981 I was 1 year employed in the same company when there was almost ‘a national revolt when rumors circulated’ that government of the day was contemplating taking pension funds for government use. Today its even a cause of more concern as your article clearly states. Hi Bheka, many thanks for your comment! The switch from defined benefit to defined contribution happened way back in the 80’s and 90’s. You are one of the fortunate few who remained on their defined benefit fund. Members would have had an option to remain on the defined benefit fund but the majority switched over to defined contribution funds little knowing that their employer was transferring all risk over to them. ok…so the next obvious question for the lay person is…. can and how, would one move your current defined contribution fund, to a defined benefit fund….without us carrying any risk….and without our money being invested into these troubled SOE’s….?!?! Hi Dee, many thanks for your comment! There isn’t an option of moving to a defined benefit fund. If you don’t already belong to one then you’re out of luck. No companies, other than government, offer them to employees since all the retirement risk is transferred from employee to employer. Government can always count on the taxpayer to help carry the risk. I am a member of the GEPF, and thanks for throwing us to the wolves in your last two lines. There is also already a court case on the go due to GEPF making unilateral changes to a factor used in calculating the pension you are entitled to; that one move has cost some civil servants hundreds of thousands of rands in value at retirement – the change was made without any input being heard from members as is required by law..I stand corrected on some information but this is what we hear in the corridors. Although the civil service gets a bad rap from all quarters, there are some of us that actually do try and deliver good service and make a difference – why is it “ok” to have my pension put at risk…I pay taxes and pension contributions as does everyone else and value my money and retirement as does everyone else. Think Transnet. then tell me again it’s ok to put my pension at risk. Our intention is not to throw anyone under the bus. The article simply points out that our government can bail out the public pension fund with taxpayers money, but who will bail out private pension funds? I have a client who is a member of the old Transnet fund and it’s disgusting to see what’s been done to them. Let me say in my defence, as someone who has dealt with members of both types of funds – defined benefit and defined contribution – that the benefits payable to members of defined benefit funds, far surpass those of defined contribution funds. Not only are benefits higher, but so are salaries. Who would argue against a pension based on final years annual income (which is when your income is at its highest point ever) and the number of years’ service you have with the fund? No-one’s pension should be put at risk, but forcing members of defined contribution funds, who already take all their own investment risk, to contribute to mismanaged entities is a bridge too far. Just to give you an idea, over the past year equity has significantly underperformed cash. For a member of a defined contribution fund, this means they’re one year closer to retirement with – 5% returns. On a defined benefit fund it doesn’t matter whether markets are returning + 10% or – 10%. However, that’s in a perfect world. You are absolutely right to be concerned as a member of a state owned defined benefit fund. The fund might not be as healthy as we would expect. Your pension capital is invested in these state entities through the PIC, and should they collapse, so too could your pension fund. Scary stuff indeed! We’re all in this boat together and having a backup plan, as you suggest, is a wise idea.